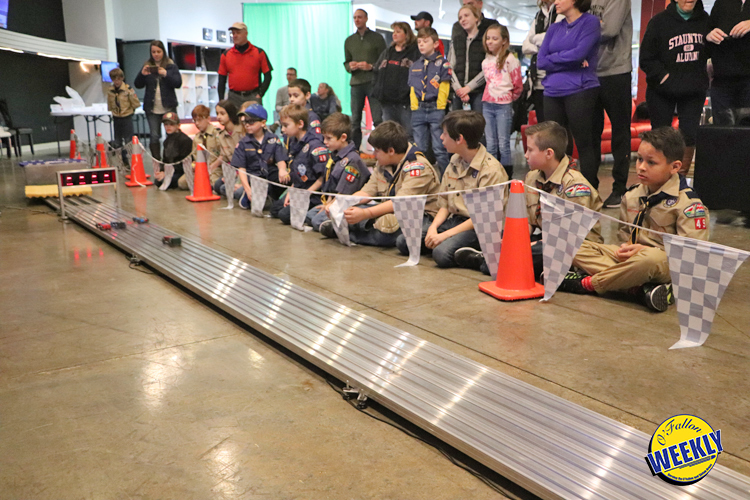 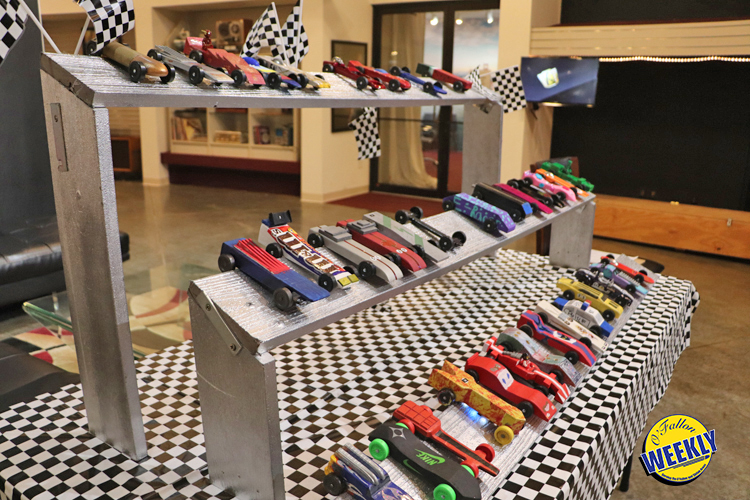 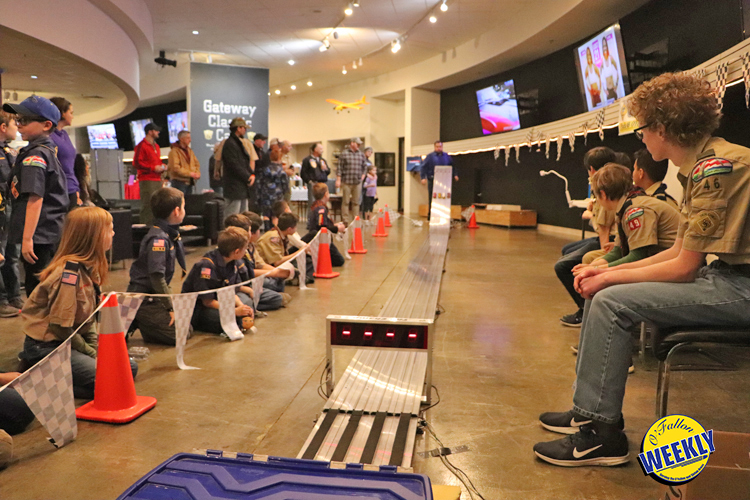 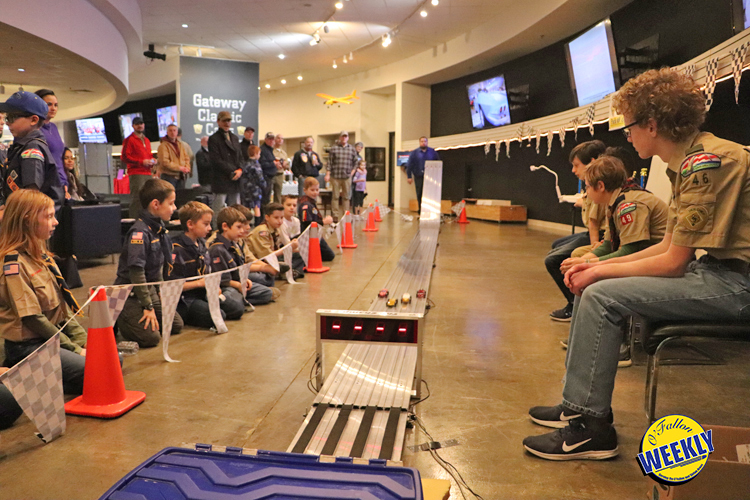 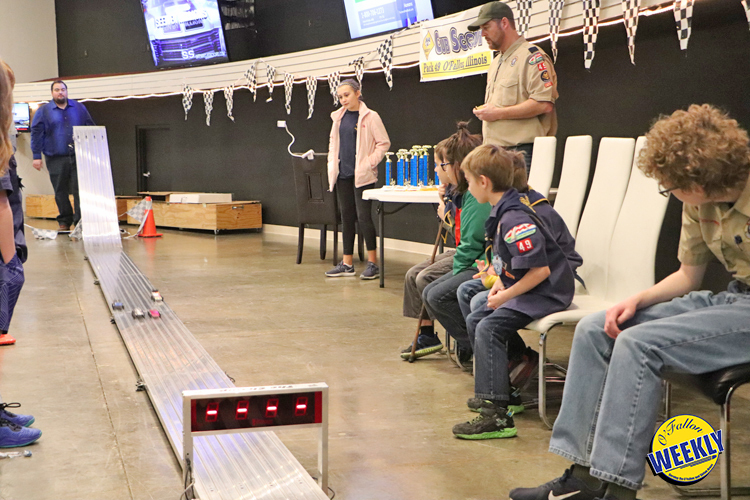 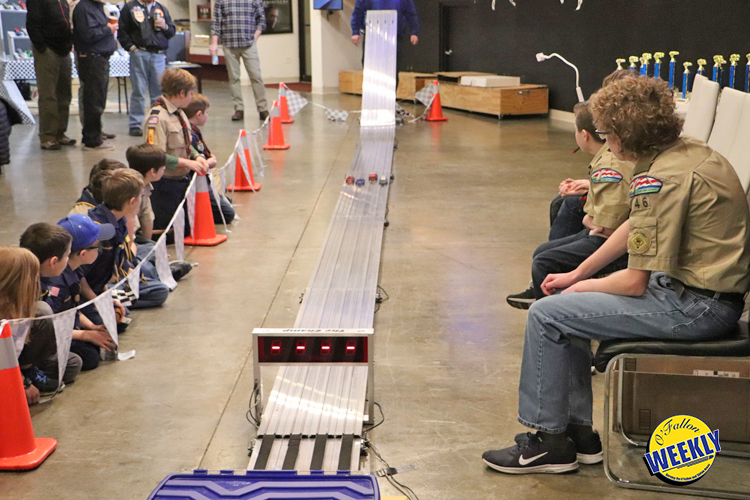 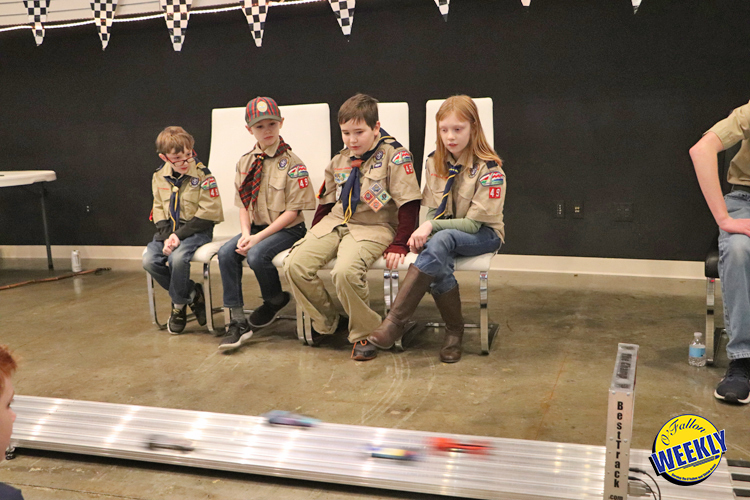 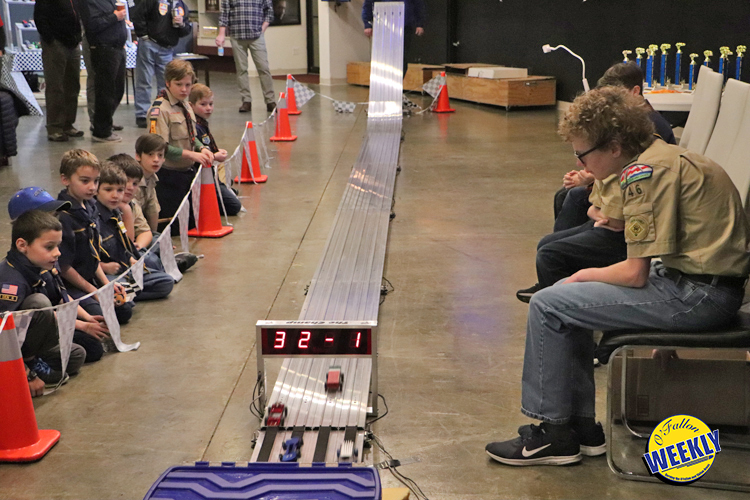 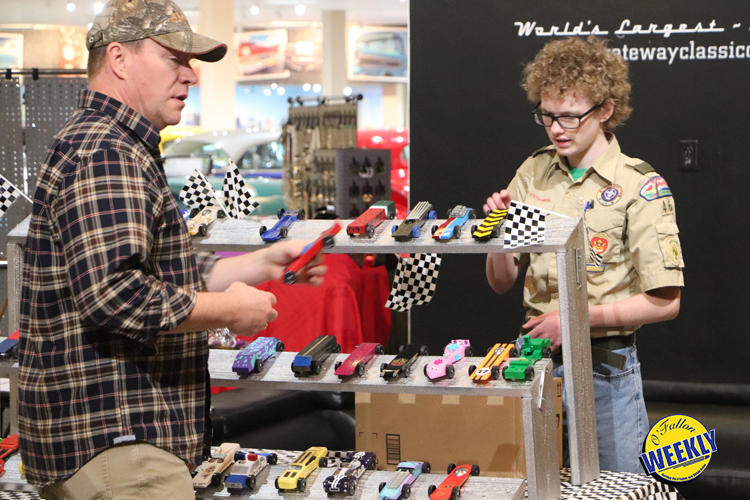 O’FALLON – Cub Scout Pack 49 recently held their annual Pinewood Derby competition at Gateway Classic Cars. 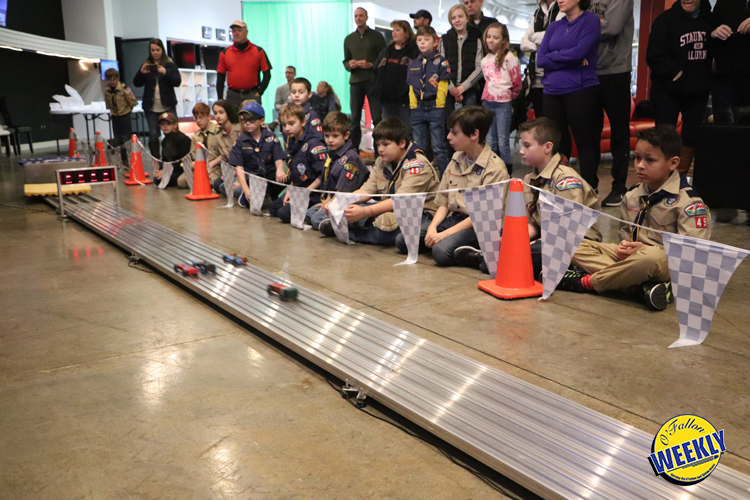 The scouts had a great time watching their decorated cars speed along the track and determining who had the fastest car. 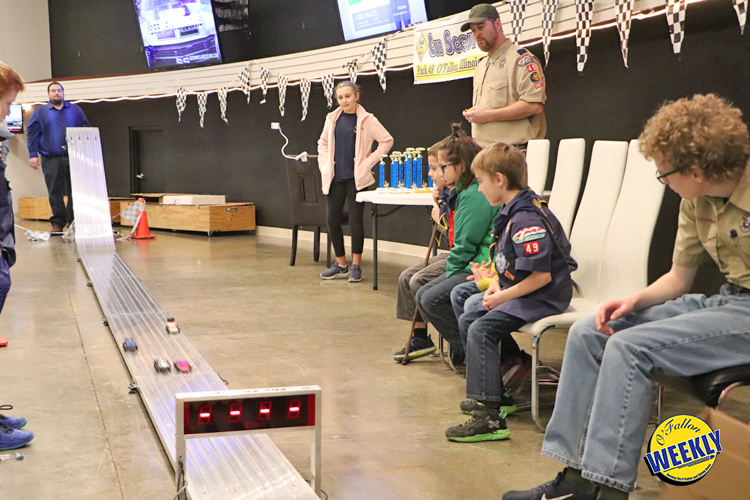 In the Lion group, made up of kindergarten students, Caiden Dobbs took first place, Liam Hoormann brought home second place, and Parker Kovell won third. 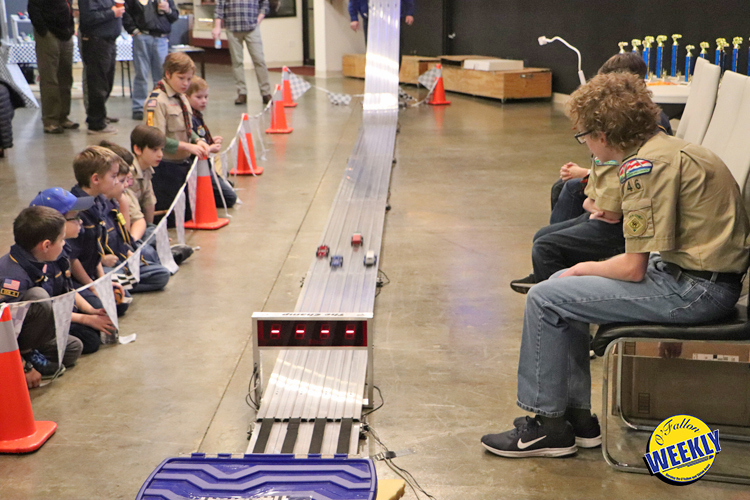 In the Tiger group, consisting of first grade students, Jack Montgomery won first place, Joshua Dettmann took second, and Nate Dorgan won third. 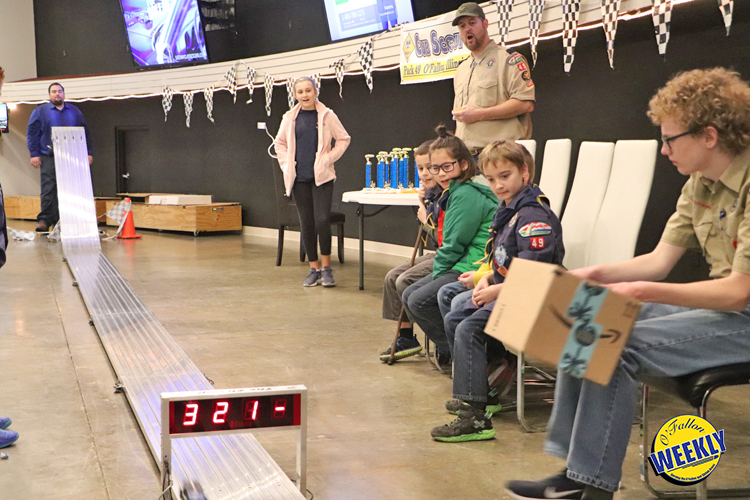 In the Wolf group, made up of second grade students, James Edwards won first, Lucas McLean won second, and Kai Bailey won third place. 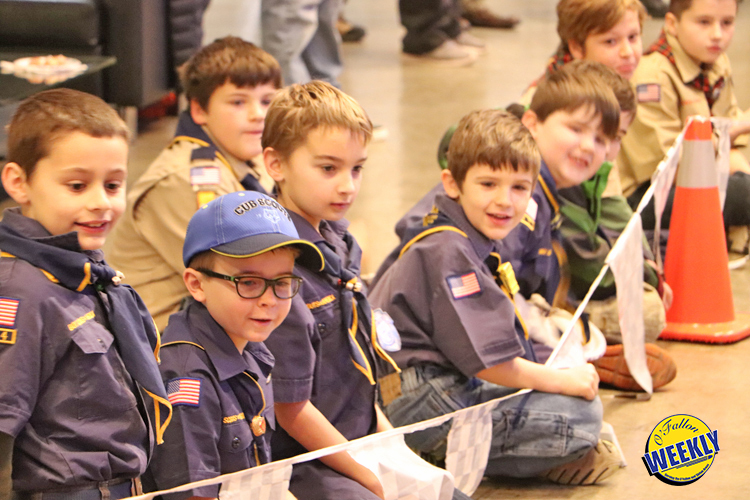 In the Bear group, consisting of third graders, Blaine Chen won first place, Aiden Frasher took second, and Colton Brown won third. 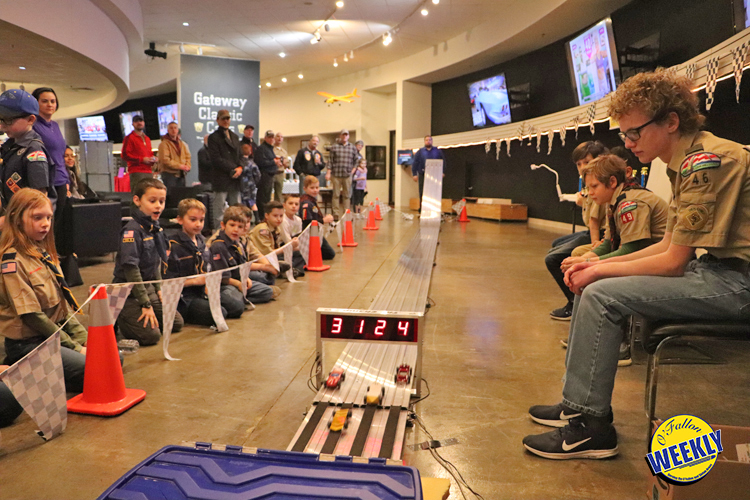 In the Webelo group, made up of fourth graders, Daniel Clark won first place, Matthew Goldsmith won second, and James Schiffner brought home third place. 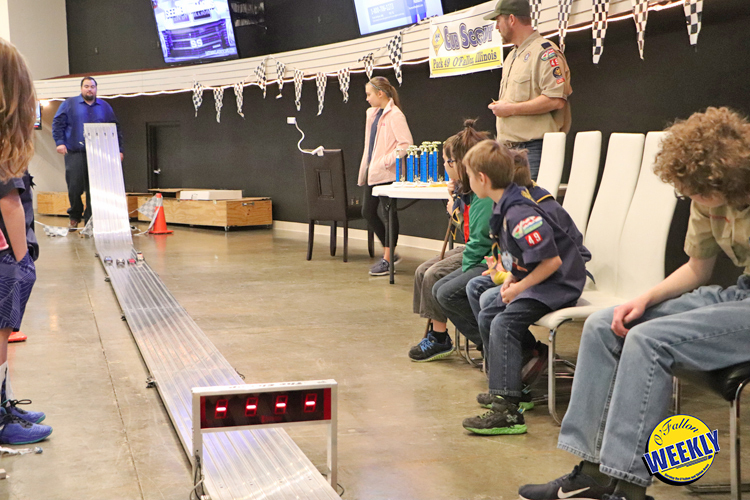 Finally, in the Arrow of Light group, made up of fifth graders, Stevie Branch won first place, Owen Griffith took second, and Jonathan Reed won third place.